Based on IMAS’s research and teaching, the University of Tasmania is ranked fourth in the world for Marine and Freshwater Biology in the latest CWUR Rankings by Subject. Here are some examples of the fascinating research IMAS is doing in Marine and Freshwater Biology. 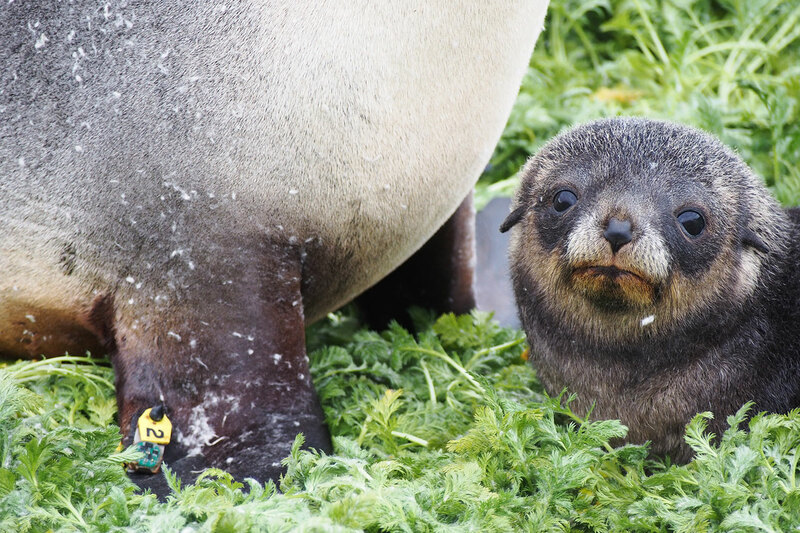 Learning about the lives of top predators such as seals in the Antarctic and Southern Ocean is a major focus for IMAS scientists and their Australian and international colleagues. This rare, long-term data set is being used to identify potential climate induced shifts in key foraging regions for Southern Ocean vertebrates. In a separate IMAS study, elephant seals are carrying small satellite-linked sensor packs with on-board trackers to provide high-resolution observations of the ocean south of 60°, yielding vital data that could not be collected by conventional means such as ships or ARGO floats. Of particular interest to the team of international researchers are the continental slope and shelf regions around Antarctica, with the study providing unprecedented insights into seal ecology and climate adaptation while allowing a better understanding of the ocean’s role in climate change. 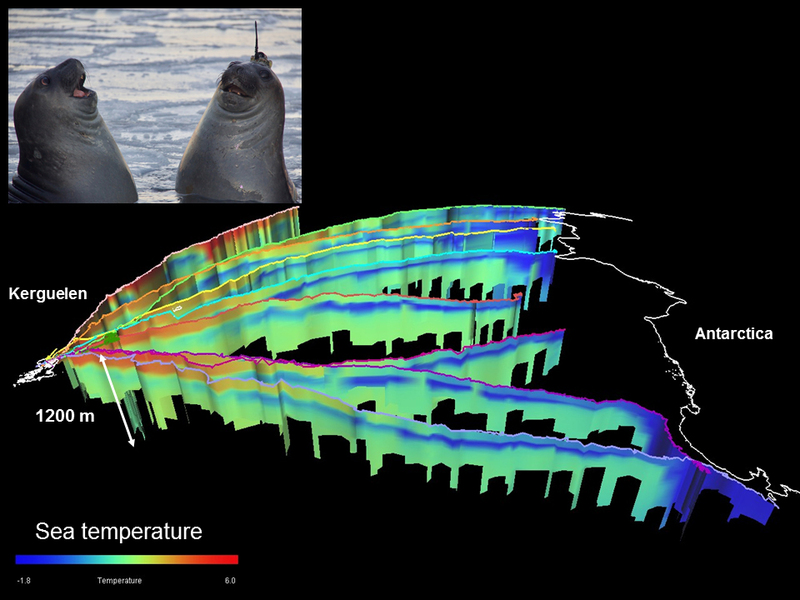 (Map, left, shows the tracks of seals moving south from Isle Kerguelen to the Antarctic, with temperature profiles to depths of more than 1000m. Inset, image of juvenile southern elephant seals - the one on the right wearing a state of the art depth recorder. Credit: Clive McMahon).